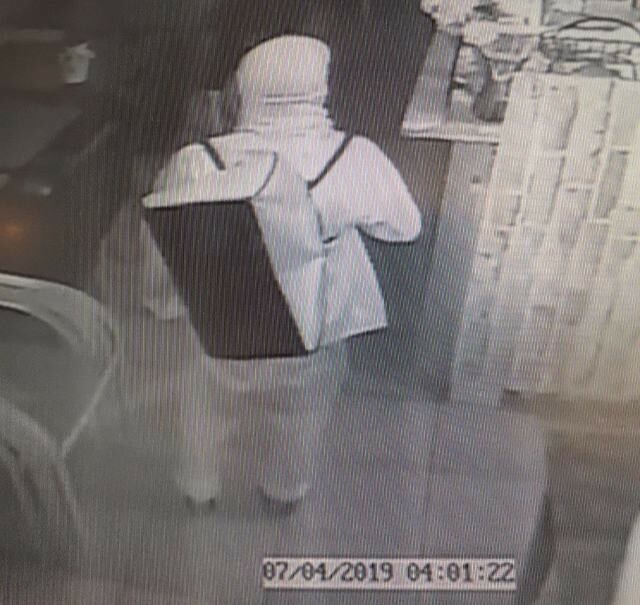 A Penticton cafe is frustrated after being broken into three times in as many nights this week. The Prague Cafe across from Marina Way Beach was hit by a burglar Sunday and then twice on Tuesday night. Owner Michal Gjurisic says the first thief stole a cell phone that was used to play music in the business and cash out of the till on Sunday. The first break-in Tuesday happened shortly after midnight when a man used parts from a windshield wiper to jimmy his way into the cafe. He stole some food and took off. Shortly after, a different man visited the store and simply opened the door that had been broken by the previous burglar. “Wednesday morning we walked in here, no food, our fridge was empty. All cans, drinks were stolen,” Gjurisic said, adding the attached condo building was also broken into. He called the thefts “frustrating” and has now spent several hundred dollars to upgrade the locks and security system at the cafe. He said vagrancy has become a big issue in the area in the past two weeks. In his estimation, more than 40 people make their way to Esplanade Park every night. Seasonal homeless shelters closed in Penticton at the end of March, and the City of Penticton cleared out a camp in Esplanade Park Monday, where it estimates 20 people were living. Gjurisic doesn’t blame people struggling with homelessness, but he says there are others that spend the nights prowling the streets for other reasons. Gjurisic is hopeful the increased security at the cafe will prevent future thefts, noting the previous five years at the location have been pretty good for them. The Penticton RCMP says the break-ins remain under investigation. “So far, no suspects have been identified, mainly due to them covering their faces. However, we are following up on some leads,” Const. James Grandy said.